With the village of Fondren growing in the early 1900s, the need for a public school also emerged. Land was found in the geographic center of the area and in 1926, the Lorena Duling School, named for a notable area educator (see below), located at 622 Duling Avenue, was designed by Jackson architect Claude H. Lindsley. Commissioned by the Jackson Public School district, this served as the neighborhood’s elementary school for the developing community, which continued to foster growth as the neighborhood’s earliest and prominent public institution. After construction of the building was completed by W.J. McGee & Son in late summer of 1927, Lorena Duling School opened with five teachers and 36 enrolled students. Having five original classrooms, the school contained one class per grade with about seven students per class. Following the Great Depression, JPS began a campaign to alter and improve almost every school in the district over a ten year period. Most commonly, they added auditoriums. In 1936, an auditorium was added to the east side of the school, connected by an enclosed passageway to the original building. Because of the need for the school to serve as a community meeting space, the auditorium was designed with 360 seats. Fondren expanding more than ever, Duling School found the need to build again, this time after the close of World War II. In 1947, a two-story classroom expansion featured a cafeteria and seven classrooms on the east side of the auditorium, enclosed by a connected passageway. This addition accommodated the first through third grades, which were witnessing record numbers due to the enrollment of Baby Boomers. The fourth and fifth grade remained in the original building. When this addition opened, enrollment stood at 383 students – more than ten times the number of initial students twenty years prior. In the 1990s, Lorena Duling School was changed to the Duling Alternative School and students in grades 1-12 were bussed to Fondren from 57 JPS district schools. Enrollment stood at 26 in 1995, with the numbers expected to grow. Ten years later, JPS announced the closure of Duling Alternative School and with the help of the Mississippi School Property Development Act, developer Mike Peters stepped in. The act, passed in 2005, allowed school districts to share in the redevelopment revenues of former educational properties. welcomed shoppers in 2009 with an eclectic mix of boutiques. The Auditorium Restaurant, an anchor of the overall plan, was repurposed in 2010 as an event space for medium sized functions. It’s known as Duling Hall. Today, the building counts Fondren Church as one of its biggest tenants. Babalu Tacos & Tapas occupies the former first grade classroom and Duling Hall hosts religious services, concerts, rehearsal dinners and other community functions. Jackson’s only record store, Morningbell, SMoak Salon, Complexion and Dottie Gozan’s Bohemian Kitchen round out the tenant list. On school property to the west, a new building called Fondren Place has been erected, housing BankPlus, Ramey Agency, CDFL Architects, Joan Hawkins Art and Interiors, Fischer Gallery, and M!SO. Duling School was named in honor of Tennessee native Lorena Duling (1859-1949), who educational career brought her from Paris, Texas to Jackson in the 1890’s. While she never worked at Duling School, her influence was heavy in the formation of the Jackson Public Schools. 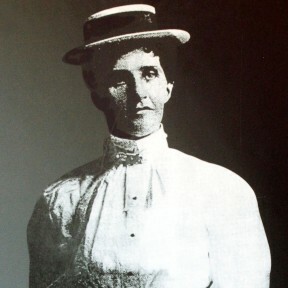 In 1905, Duling was named principal of the Jefferson Davis School and was there for 36 years. In total, her service to JPS was 56 years, retiring at the age of 80 in 1949. Duling Avenue, the street where you will find the Duling School, is also named for her. 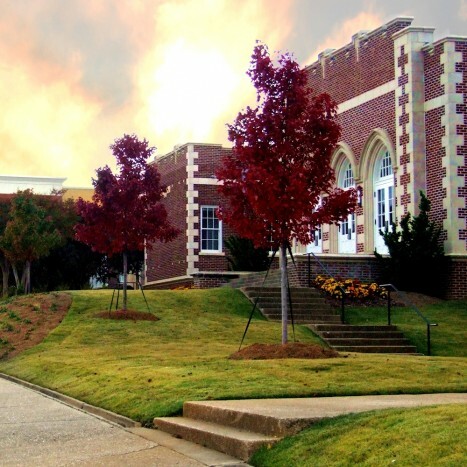 The school that bears her name has the distinction of being the only public school in Jackson to be named for a living person.